With the liberalisation of the European sugar market planned for 2017, the EU can expect to see a dramatic increase in obesity and diabetes, a researcher has warned. High fructose corn syrup is widely used in the US, as it is cheaper than beet and cane sugar, is sweeter, and also easier to work with. The use of high fructose corn syrup has so far been limited in the EU due to quotas. “This is really bad,” Per Bendix Jeppesen, who is a researcher on obesity and diabetes at Århus University, told Danish broadcaster DR. “It’s well-known that this has led to a genuine obesity epidemic in the US since it was introduced. We have tested it on rats, and this type of sugar increases the risk of getting fatty liver disease and diabetes,” Jeppesen said. The researcher expects that in the future, the industry in Europe will use high fructose corn syrup in food production. “Why wouldn’t they? It is after all both cheaper and easier,” he said. According to the researcher, the problem with it is that corn syrup primarily consists of a particularly dangerous fructose called monosaccharides which has already been degraded. Therefore, it goes straight into the blood, and though high fructose corn syrup today can be found in small limits in cakes, it can become very dangerous, if for example, it used in beverages where the liquid is consumed in large amounts, the researcher claimed. In 2017, the EU Common Organisation of the Market will bring an end to sugar production quotas by country, and market price support, which allows European producers to sell their unsold stock at a minimum price guaranteed by the EU. The current system was called into question in 2006, when the World Trade Organisation (WTO) restricted European sugar exports, after a complaint from several producing countries accusing the EU of dumping. To end these restrictions, the EU announced it would reform the sugar industry in 2015, but then postponed it to 2017. The Danish Diabetes Association called on the EU to put “the foot on the brakes instead of the speeder” on sugar quotas and to make thorough research before setting high fructose corn syrup free. Christel Shaldemose, an MEP from the Socialists and Democrats and member of the Parliament’s Committee for the Environment, Public Health and Food Safety (ENVI), said that she until now has been unaware of high fructose corn syrup. “If the researcher is right, then this is really worrying. The last thing the EU needs is more people with diabetes,” the MEP said. She added that she will ask the European Commission if it is aware of high fructose syrup and how it is planning to deal with it. EURACTIV sought a reaction from FoodDrinkEurope, but the industry association declined to comment. Every two minutes, an EU citizen dies of diabetes-related diseases, according to the European Diabetes Leadership Forum (EDLF), a stakeholder organisation initiated by pharma company Novo Nordisk, which aims to move diabetes up the public health agenda. 50% of all people with diabetes die of cardiovascular disease, making diabetes the fourth most common cause of death in Europe, EDLF figures show. Meanwhile, 10-20% die of kidney failure, 10% develop severe visual impairment and 50% suffer from diabetic neuropathy, it says. However, governments are not whole-heartedly engaging in effective measures to curb obesity, according to the European Centre for International Political Economy (ECIPE), a think tank. This is despite calls from the World Health Organisation (WHO) and the Organisation for Economic Co-operation and Development (OECD) among others, to halt and revert obesity trends, which are driving diabetes. In a policy document from 2013, the ECIPE says special attention should be paid to diabetes, which is considered a chronic disease linked to heart problems and strokes. Around 9.3% of the EU's total health budget is spent on diabetes. Diabetes is caused by a lack of insulin, due to insufficient pancreatic production or high blood sugar levels. It can also develop from insulin resistance, a case where the pancreas produces insulin that is rejected by the body. EU member states have been experimenting with measures to prevent obesity and excessive weight gain, which cause 'type 2' diabetes. Such measures include those suggested by the OECD: food education and physical activity at school level, or food taxes targeting food products with high content of sugar or saturated fat. “On current trends, and if no changes are made to the healthcare coverage, governments in Europe will soon be facing rapidly increasing costs related to the treatment of illnesses and health problems associated with obesity,” the ECIPE said. Something that euperspectives reported on last year when the EFSA approved the claim that crystalline fructose is healthier than sucrose (http://euperspectives.com/2013/11/05/sugar-on-top-2/). 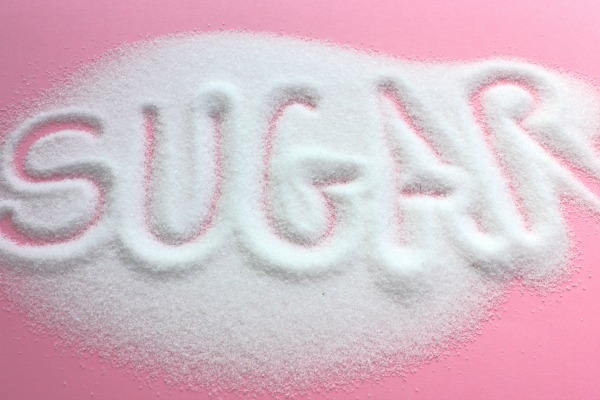 Rather than allowing the increased use of fake sugars such as isoglucose, as a matter of public health policy, the EU should be seeking to reduce the production of sugar to limit its excess consumption.